As I mentioned before, loud noise is definitely one of my anger triggers. 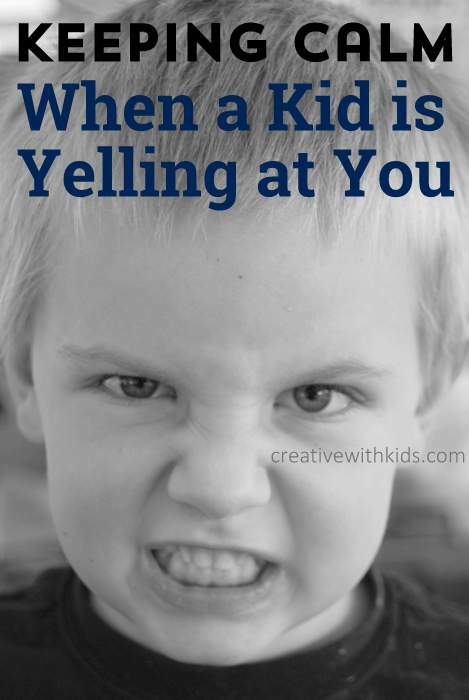 My kids know this anger trigger well, and inadvertently I taught them that yelling, or complaining really loudly for a long time is a great way to hit my buttons. Since I had few tools in the past to handle yelling, often times it actually has, in one way or another, gotten them results. Sometimes I’ve become so flustered that I’ve said yes to things I didn’t want to say yes to. Other times I’ve tried to appease them to get them to stop yelling . Even if they don’t get what they want out of it, they can get a rise out of me, which gives its own hit of power – all of which leads to a long term situation of even more yelling. I’ve been working to defuse this anger button. I’m not perfect, but I do have tools to share if you want to stay calm and get your child to stop yelling at you. I feel attacked – I can feel my tension rising and many times I eventually just snap in an effort to stop the onslaught. This is particularly true when I’m tired or have a lot of other things needing my attention. Over the years, thankfully I’ve developed a number of different ways to stay more calm, and the more I stay calm, the less kids yell. Gradually our household has become a more peaceful place. 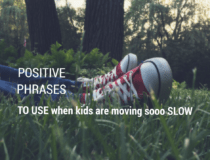 Practice pausing before reacting – one of the MOST powerful things to practice for making more positive parenting choices. You can build this skill. It takes practice, but you build your ability to pause each time you resist reacting right away. Even a second longer of pausing teaches your brains that, yes, you can pause. Practice listening to their emotions more-so than their words – an angry child is not coming from a rational place. To try to reason away their anger only adds fuel to the fire. Remind yourself: This is their emergency not mine. I can help in an emergency by remaining calm. Try the 3, 2, 1 Calm Down technique where you use your other senses to tune in to your environment and get calm. 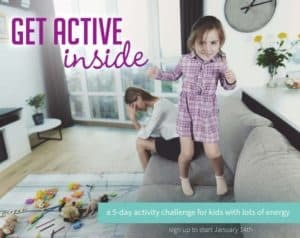 Count to yourself – 1,2,3,4,5,6,7,8,9,10… No, this is not a magical Stay Calm solution, however, when you find your thoughts running away with you and notice you’re getting angrier and angrier, you’re getting hooked in to your child’s yelling. By counting you give you can help keep your brain in neutral. Sometimes when a kid is yelling, we can’t just leave the room, and yet we also can’t engage without making it worse – so counting might give you a way to stay put without yelling back. I’ve gained a lot by reading The Whole-Brain Child so that I better understand the reasons my child may be melting down, and better understand my own reactions. Our family also has found many helpful exercises on anger in How to Take the Grr Out of Anger. This book is geared for kids, but it’s helpful for the whole family as it keeps it simple and lets everyone better understand the emotion of anger and how to handle it in a healthy way. I’d love some more tools so I can remain the grown up in these situations instead of melting down along with my child. 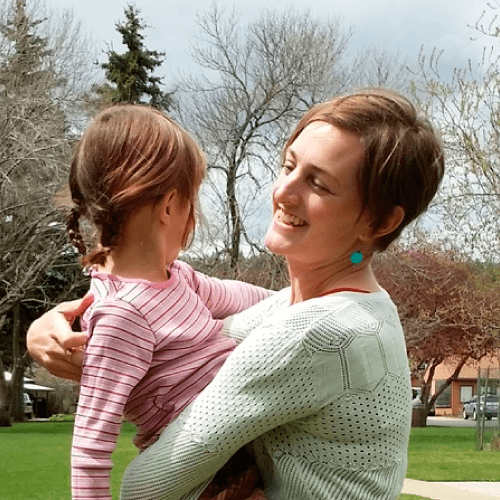 Can you tell me some ways to hold onto my calm in the face of a yelling-at-me child? 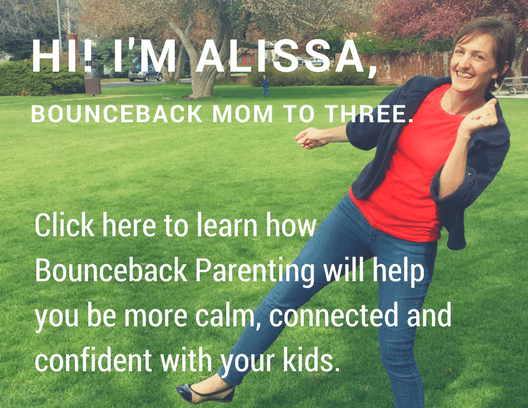 Find more resources for dealing with anger here on my Anger Resources page and if you want more support for fighting parenting supervillians, come join us in the Boucenback Parenting League. “Ideally: I try to remember that it is not my problem to fix, but an emotionally out-of-control outburst from a child. This helps me to not take things personally and to look for the underlying problem that the child needs better coping skills to handle. I let them know they may holler as much as they would like in their room, but that I am not okay with them treating me that way. I let them know that it is easier for me to understand them when they are calm. Then, I stick to this and let the storm ride out. Noise is a trigger for me, so often, I spend a few minutes calming myself and making a plan before I respond. After a few minutes, I check in and ask if there is anything I can help with: giving a hug, getting them a drink, reading a book together, etc. If not, I wait a bit and then check again. Only after they are calm do we try to address the problem. As part of this, they are required to try to make amends for hurtful words or actions. I am honest, but not manipulative when their words are particularly hurtful, and I try to make sure I don’t say hurtful things, as well. I am so sorry for the novel. It is so hard to give suggestions without knowing a child. I have 5 children, and have worked with many, and each child is so different. This is what has worked for us, with our child who has exceptional anger management needs. She is also 7. 1. I look for the reason/purpose behind the behavior. Is there an emotional or physical need that should be met? (Hunger, lack of sleep, medication, fear, etc.) Is there a developmental concern or a coping skill that the child needs, but has not been taught? What is he/she getting out of the behavior? What is he/she trying to express? Ideally, these needs are addressed first, but if your child has significant anger, and is out of control, they may need to calm down before this can happen. 2. I pre-teach ways to become calm. With this child, we sat down together and discussed specific things she could do when she felt angry or out of control. We made a list and drew pictures beside each item, so that it is easier for her to remember when she is angry, rather than having to reason while she is emotionally unable to do so. She chose: reading a book, saying a prayer, singing a song, snuggling a stuffed animal, coloring a picture etc. Then, when she becomes angry, I remind her of this list and tell her that, when she is ready to become calm, she can pick 2-3 items off her list to do before we talk about what happened. In the beginning, we made a list of specific things for her to do and required her to do each of them (she was so angry that even picking what to do was too much reasoning.) Now, she is able to pick her own items. 3. I do require her to yell in her room, but she is free to come out whenever she is ready. Being in her room is not a punishment, but a designated place where she can express herself without harming others physically or emotionally. If she refuses to go (but still chooses to yell, kick, etc. ), we have pre-selected consequences. First, I ask her to go to her room and take some time to become calm. (I give her 1 minute to comply with each request – any longer than that, is just extra time to throw the fit.) If that is not enough, she must take a nap (this is almost always the cause of her being angry – and has to do with a medication she has to take, but she fights sleeping – so when she refuses, it is almost always a sign that she needs a nap.) Lastly, if she will still not comply, she earns 24 hours of no privileges. She does not receive extra treats, cannot use electronics, and cannot have friend time until she can be calm for a consecutive 24 hours. Before, I had a few consequences, and she would gain each until we made it to the last one. I found that she did not care about the other consequences and almost always earned them. I became tired of always giving her consequences, and hated that she was always in trouble. So, we picked the one that worked for her, and we stop at that. It is much better. I feel this is much better at addressing the problem. The nap gives her body the rest it needs and the 24 hours helps her practice being calm. 4. If she still refuses to go, but is still in the middle of a fit, I take her to her room. If she will allow me, I will hold her or help her gather anything she needs to start her steps to calm down. If not, I leave and let her have her space. If I need to take time to become calm, I take it. I do check in after several minutes (or when she begins to calm down). I remind her that I love her and ask her if there is anything I can do to help her become calm. I reassure her that I know she is capable of calming down, when she is done being angry. If she is still out of control, I leave and return after several more minutes. 5. After she is calm, we discuss what happened, what could have been done, and how she can try to make amends for any emotional or physical damage her actions caused. We talk about how she feels when she is angry and how others feel when she treats them in these ways. 6. I remind her that I love her. Over and over and over. 🙂 I apologize when I become angry and I take time to step away and become calm when I feel myself start to anger. Children can sense when we are angry, so while faking it may help, learning not to anger causes a tremendous change in how the situation turns out. I really feel that this is an important aspect of the interaction. Sometimes, our anger can scare our children or fuel their fire. Taking our anger out of the equation can make a tremendous difference. Elizabeth – thank you SO MUCH for coming back and sharing your wisdom here. I had a similar question to Martia, and your answer gives me a lot to ponder. Really, thank you. Thank you SO MUCH for taking the time to give so much detail. (And I apologize for addressing you as “Alissa!”) I really appreciate it. I do find every family and child is different and the nature of the family, parenting styles of both parents, nature of the child, and current dynamics of the family all play a role. While my situation is, of course, not identical to yours, this was very helpful. I have this issue with my oldest, we have another daughter who is 3. When this happens, she usually gets angry or very upset and if you leave her alone, she rides it out and then everything is fine. If you don’t press in with her, her behavior stays within what I consider to be appropriate ways for her to express big emotions – she sometimes will stamp her feet or slam a door but won’t act out in other ways, if you do press in to try and reason with her or physically corner her, she’ll lash out defensively then. Where this dynamic becomes an issue is when it happens at a time where I can’t just leave her be, or when it completely takes the entire family off track. For example, we are heading out the door, or I’m cooking dinner and she’s laying on the kitchen floor screaming and crying. And this inevitably leads to the 3 year old joining in and screaming and crying as well. In the dinner example, this is when I really would like her to go to her room so she can have her feelings, yell, cry, scream, etc. then come back to the group when she’s calm – but she is having none of that. I get frustrated – once the 3 year old is upset, I need to stop and give one-on-one attention to each of them at the same time to calm them down, which is of course not possible, and if I stop cooking, at best, dinner is delayed which throws the entire bedtime routine out of whack and leads to grumpy kids the whole next day, or at worst, dinner gets ruined along with everything going south and the two upset kids not getting what they need. You get the picture. Clearly my feeling pressured and like it’s a no-win situation has me starting from a place of already being upset, frustrated and defeated before I have even opened my mouth – obviously not a good way to begin these interactions. From what you shared I see some things I can do: setting up ways for her to become calm and consequences for not following limits, and doing this at a time when she’s not upset or angry. I have tried a number of times to get her to try various things to do to calm down – she is insistent that none of them work (even though she hasn’t tried them). And we haven’t set up prearranged consequences for not complying with limits. I know if I set her up ahead of time with options to calm down and predetermined consequences, I can then just calmly follow through with these, and this will help. I’ll have a plan so I won’t panic, and I will certainly be a calmer which can only help. And the consistency will be better for her. The one part that I still haven’t figured out is: while it works better for the family to have her go to her room to calm down when she can’t control her emotions, she becomes extremely agitated and exponentially more upset at the prospect of being separated from me at these moments. It seems she needs to have me close, and on the one hand I understand that and think it’s a legitimate need, but I just am not always able to do that – either because of what others need, or because I need to be away from her to calm down if I’ve also become upset/angry. I want to be able to give her what she needs, but it has to happen in a way that isn’t at the expense of someone else/others in the family. (this is always my approach to figuring out how to manage what they need – finding a way to fill the need that works for the whole family). And I just don’t have a handle on that part yet. Thank you again for everything you shared, I have place to start to put some consistent ways of dealing with this in place, which will diffuse a lot of my upset about it which is a great place to start (I get sooooo upset after these incidents and I’m always deeply upset with myself for how badly I handle them). Most children will not need this structured of a response, but after trying everything else, this is what we have found provides her the most stability. She is a bit of a prickly pear when she is angry, and affection (until she is ready for it) is unwelcomed. She does get more angry when asked to leave, but if allowed to stay, no amount of reasoning calms her, as the root of her problem is that her body is tired and she is so angry that she is no longer in control. Her actions will continue to increase until we set a limit, even with affection and attention. It sounds like, perhaps, the root of your daughter’s problem may be a need for attention or affection, so you would want to take that into consideration. Perhaps giving her a responsibility that allows her to work beside you, would help fulfill that need? Or, maybe a special activity with you before you begin working away from her? A visual schedule or a social story about you preparing dinner and what happens before and after, may help, as well. Also, developmental abilities make a huge difference. Since birth, we have practiced respectful parenting and taught her how to solve her own problems. We have given her affection and have allowed her to express herself. This has worked well with all of our other children. 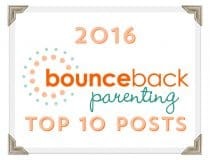 After a few unsuccessful years, we realized that we needed to adjust our parenting, if we were going to help her work through her anger. It has been a long, hard process, but we are doing whatever we can to respect her choices while not allowing her to harm others. When she is not angry, she is a very loving and affectionate child. 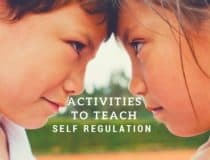 As she develops her anger management skills, we hope to give the responsibility back to her, to self-regulate and problem solve her own solutions. if I may chim in? I had similar problems, and have struggled with extra pressure put on me by leaving the house on time, cooking dinner. These moments escalated with frustration by my kid. I learned that I sometimes need to let go of things in order to manage the situation better. This does not come easy to me (I stress out over stuff that “needs to get done” when really I am just too stubborn to change my plans). So, I forced myself to allow myself to not be on time for the whole week. Or stopped cooking dinner and just have sandwiches or cereals. I entered those potentially frustrating moments with more ease, handelt them better, and was able to then incorporate other stuff, like cooking, back in. Because in the end nobody cares, if you are late sometimes. And the kids are happy to have pizza five nights in a row. I have found that singing soothing songs helps diffuse my anger and the child who is angry. At first, I usually get a lot of resistance and screaming back that the child doesn’t want to hear me sing, but eventually causes the child to calm down. And it keeps me from saying something stupid or yelling because I am busy singing. I love it! Do you have a particular songs you use, or just whatever comes to mind? Hi i have been using a technique taught to one of my clients by his psychologist to manage anxiety. you find a rectangle shape in the room could be the fridge a window pane anything you focus on following the shape in your minds eye. Then breath in for the short sides and out for the long sides. Thanks you – the visual component in this technique sounds really helpful for keeping focused, and of course breathing is a major help in calming the anger. Lots of deep breaths. Loud noises are a trigger for me too. If I’m in the kitchen and yelling starts, sometimes I’ll throw a utensil in the sink, hard (from right there, NOT from across the room). The clash of stainless on stainless is loud. It gets their attention and let’s me have a quick “release” before turning around to deal with the kids. This probably isn’t the best method, but…like you, I could use some more ideas! I know what you mean about essentially creating your own loud noise back – and like you, I’m not sure it’s the best response…but isn’t it funny too to be a person triggered by noise who will create noise as a defense?! I wonder though about exploring some other sensory options – I think you made a good point about having your own “release” before dealing with the kids. What other releases are there…? From Jillian via Facebook: I Remind myself that it is not personal. It’s never personal. I have found that I need to become clam first before I react.. I know this is a hard one! I have been reading a book called the Whole Brain Child By Daniel Seigel it has to do with intergrading the Left Brain and the Right Brian. We need to understand brain development, its so amazing once you tap into that whole thing….. Thanks Ruthanna. I just ordered the book the Whole Brain Child. 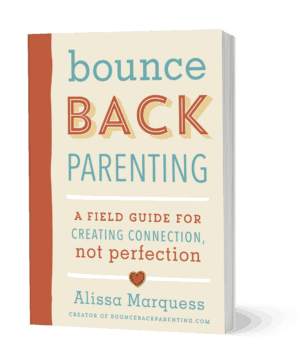 The fact that it talks about developing healthy emotional intelligence, and this part of the description, “By applying these discoveries to everyday parenting, you can turn any outburst, argument, or fear into a chance to integrate your child’s brain and foster vital growth.” sold me. For convenience to readers finding this in the future, if you’re interested, here is an Amazon affiliate link to that book: The Whole-Brain Child: 12 Revolutionary Strategies to Nurture Your Child’s Developing Mind. Thanks for letting us know about it. My five-year-old also gets exponentially more agitated when I try to separate him from me/family during his outbursts. This has lead to a lot of introspection on my part: I am also very sensitive to loud noises and can frequently become overwhelmed with simple things, and I believe I am in the unconscious habit if withdrawing. I can understand then why he would feel a greater need for me to pay attention and reach out. Furthermore, I don’t want to tack him with my thin-skinned withdrawing mechanisms (if it can be helped). Finally, I began to notice my “need” to separate him and his angry/upset/out-of-control energy from others made it worse for his toddler sister, too- I was treating his outbursts from a subconsciously fearful place (“You must get away from me/us- I/we can’t handle this!”) and she was becoming fearful. 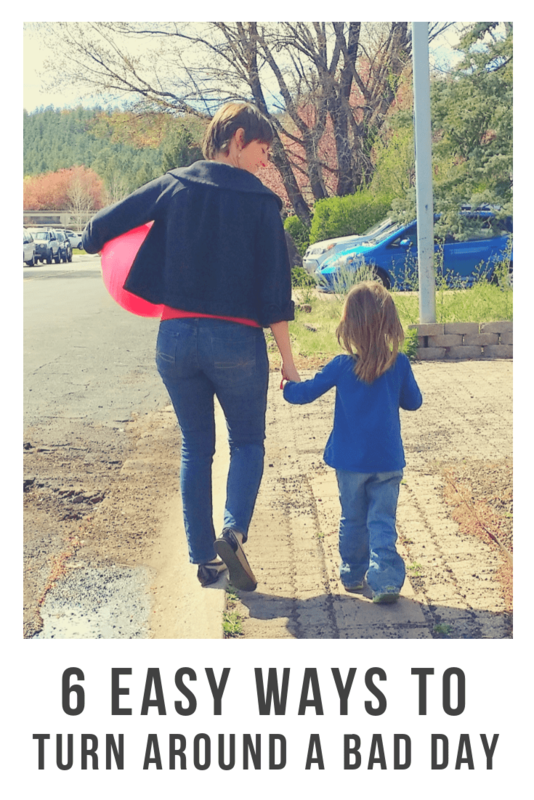 Now I’m exploring the option of leaning in, teaching both my kids that our really big, loud emotions have a place and that we can stand up in the face of them and deal with it then and there. I don’t separate him anymore and instead drop down to his level immediately and focus on him 100%. He usually starts crying at that point and collapses in my arms. It takes a couple minutes: I ask him about his experience and just listen, apologize for any feelings I’ve hurt, and plan to address his needs then or soon after. I’m still exploring this way of dealing, but so far it’s working for us and I hope my kids will learn to stand firm and be reasonable in the face of big emotional lashing out- a skill I had to develop as an adult (after being trod on and controlled most of my adult years). I think that was the big shift for me: I realized I was teaching them to fear outbursts therefore withdraw, and that behavior made me into a doormat in the past. Anyway! Sorry for the novel, but this very topic is quite pertinent in my home at the moment. Hope some detail in here is applicable to yours! These comments have been most helpful! I have a feeling I’ll need these for later when my son is a little older. At the moment he’s only 8 months, but Is already showing signs of extreme anger if I don’t pick him up right away or if he doesn’t get what he wants RIGHT NOW. However, I also have a 4 year old who has extreme anger issues. Instead of screaming and yelling when he gets mad he shuts down and goes silent. He is sullen and moody and will not speak a word until he comes out of his anger. No amount of reasoning, getting down on his level, talking to him, asking him to explain his feelings, Putting him in time out or ‘threatening’ more punishment gets through to him. The only thing that seems to affect him is exclusion from the family activities. Is there any other way to go about his shutting down? Daine, the 4yr old, has an older brother and 2 younger, including the 8month old. I would appreciate any and all advice/ideas! Hi, I wanted to share my situation and see if you have some suggestions. I have a daughter who is almost 4, she is very loving kind hearted person but when she gets mad she screams and yells, usually “I don’t like you”, to who ever she is mad at. A lot of times it is over embarrassment that she was asked not to do something or when she feels she is being provoked ( her main battles are with one of her cousins who is a few months older and is antagonistic) . Or with my husband and I when we try to teach her something and she just doesn’t get it yet, it makes her very angry that she can’t do something. I have used yelling to try and get my point across to her and I feel I have clearly caused this, just want some ideas on how to help me teach her other options. At a birthday party her cousin pushed her and she got upset and came to tell me, I asked her if she used her words and asked her cousin to stop pushing, she said no and went to go use her words. By then her cousin had moved on to other party events and my daughter was so upset by this she went up to her and pushed her, of course everyone said “no, don’t push” so she scream and yelled at everyone at the party “I don’t like you, I’m outta here” ? sorry for the book, just trying to get suggestions for helping her to cope with her emotions and how I can help her. Thank you! !